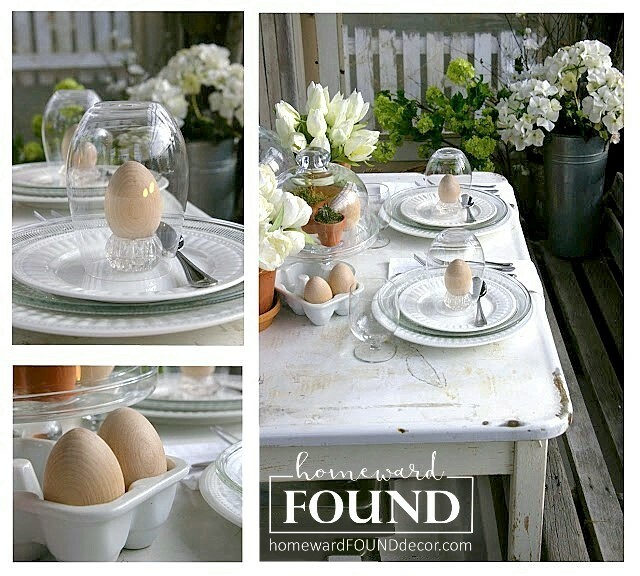 with a few SIMPLE ideas for using 'everyday items' as bases to display your colorful eggs ON! Sure, you can use an egg cup. 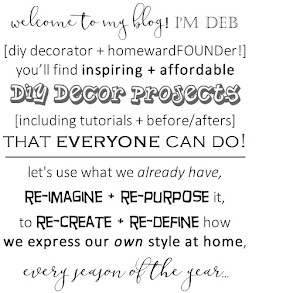 My faves are white ceramic ones from Pier 1, which are a very affordable $1.50 each. but I tend to like to be a bit more original with the way I display things, don't you?! Using an egg cup to display an egg is just so.... normal. 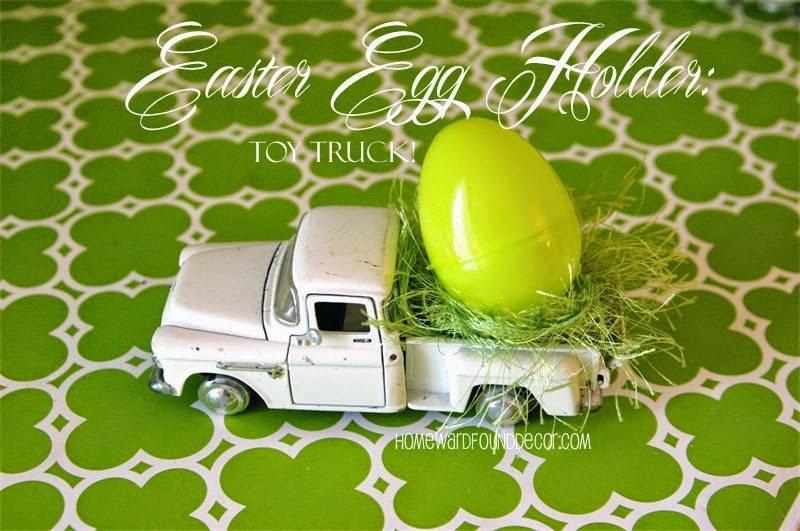 * perch an egg on top of a flower vase! 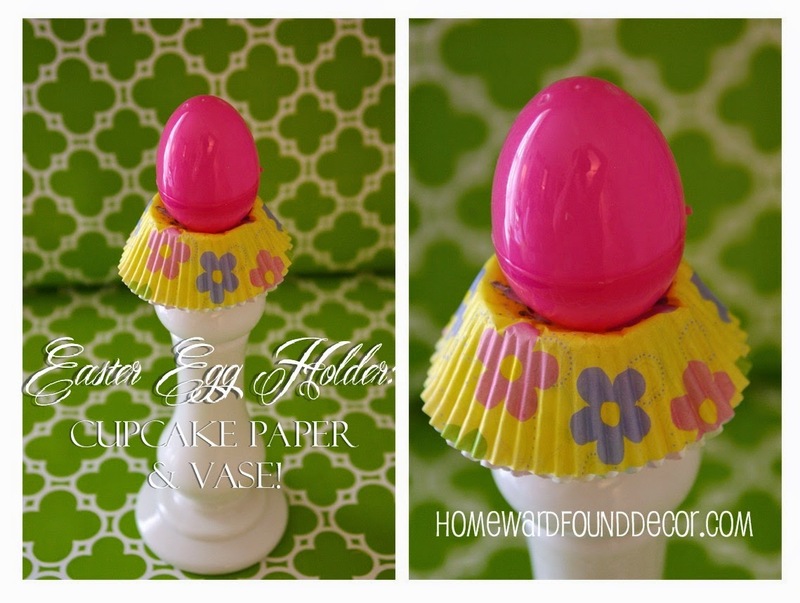 a pretty paper cupcake liner becomes a collar, and helps hold the egg in place. surrounded by a bit of real grass or fuzzy green yarn. with a nest of grass or yarn to cushion the precious cargo. this reminds me of vintage postcards with 'giant' vegetables on farms! while a delicate cut paper cupcake collar and green yarn add charming details. 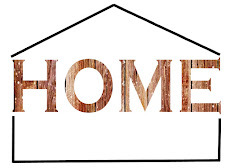 these displays become perfect place cards for your table! 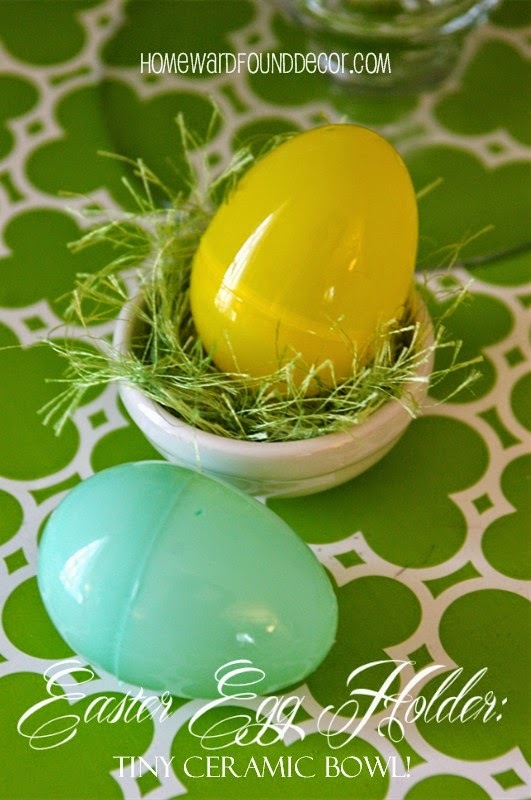 Simply fill a wire basket with Easter grass (or moss!) and colorful eggs. Tuck in faux flowers (or a small water bottle for fresh blooms). 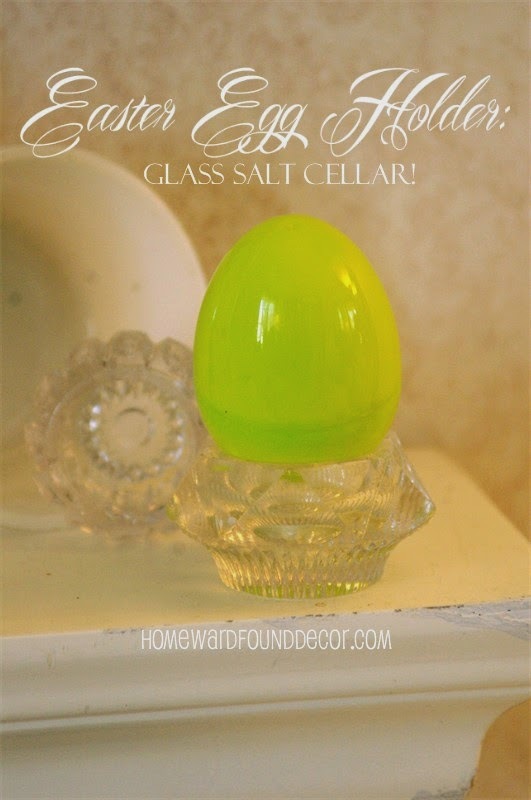 and hang on your door to greet your guests in HOPPY EASTER style! Fix It Up: FAB Folding Chairs! Not Just a Cookie Cutter! Even MORE Easter Eggs on Parade! The Grass Is Greener When It's Not Plastic!